The Summer Showcase teams are seperate from the Fall/Split Season teams and rosters. These summer teams are designed in part to help 'showcase' the Vermont girls who are looking ahead to playing in college (at any level). Historically these teams have attended the Beantown Classic in Marlboro, MA and in some years an additional event as well. Final schedules (including practices in advance of a showcase) will be released with roster selections the week of May 21. New for 2018--- Beantown is now dividied over two weekends, based on age. 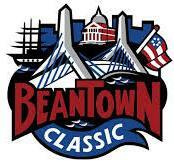 The Shamrocks will send multiple teams to the Beantown Classic over the July 20-22 (2003 and younger) and 27-29 (2003 and older) weekends. There will be a few teams Team practices/events in advance of Beantown, which will be announced at a later date. 2003 players not rostered with another team scheduled for Beantown are also eligble to register. The Rocks will send one or two teams in age group, depending on numbers. Intersted 2002 and older players must register online by May 13. This is a seperate registration from the Fall/Split Season teams. There is no fee to register. Team will be announced the week of May 21 and player fees will be assessed at that time. This registration is to indicate interest in playing on a Showcase team. There is no dediacated tryout for these teams. Additional information and schedules for these teams will be passed along from the Head Coaches.